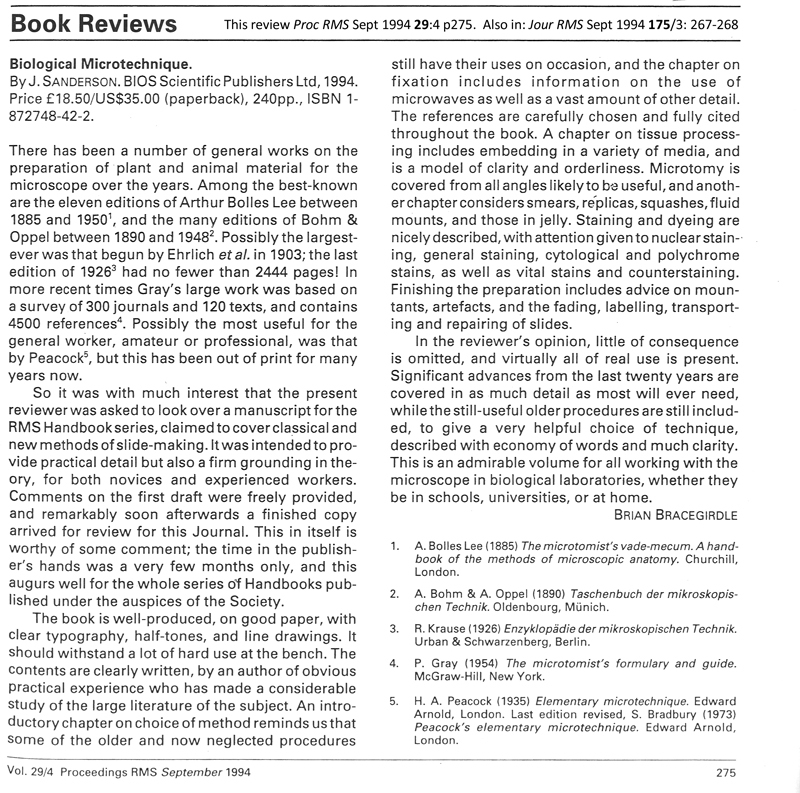 Amazon Review “Superb book, this will take you through the entire process from specimen collection to the finished permanently-mounted and stained slide. Written for ‘ordinary’ people like myself who wok at home as an amateur hobbyist. 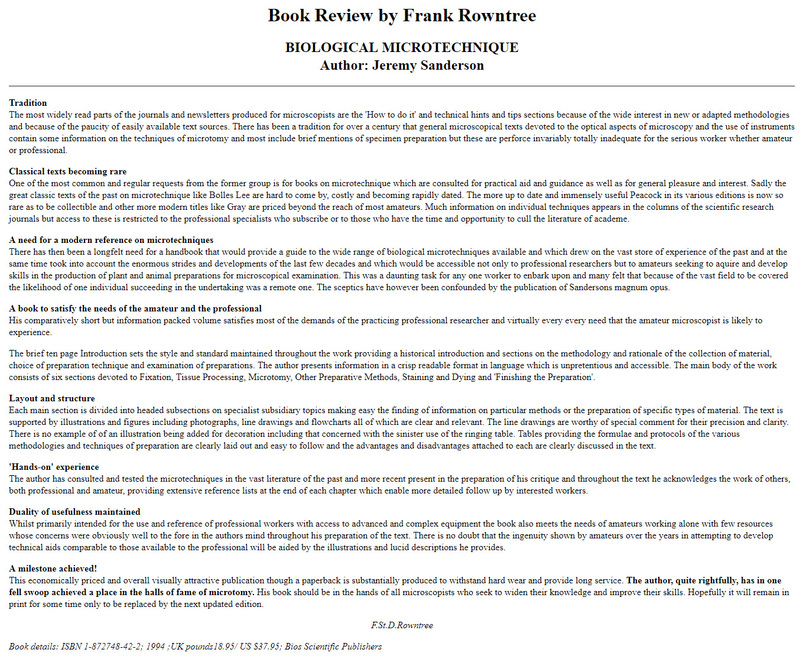 This book does not require the reader to be a professional working in a laboratory – this book is definitely suitable for the home-practitioner. No references to hugely-expensive laboratory equipment, simply to what’s needed and how to use it without any automatic equipment available only to a professional. The explanations are easy to understand and very enjoyable to read, because the more you read, the more you understand that you can follow the techniques in your own home setup. 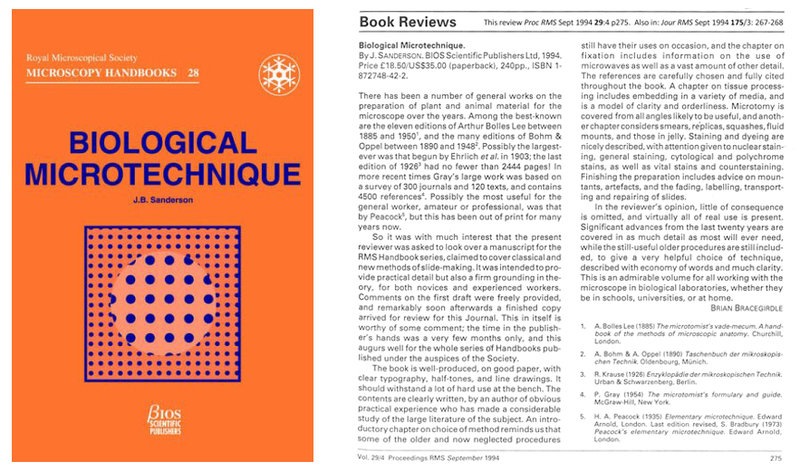 A simply excellent book that has really enabled me to progress and start to understand histological techniques”. 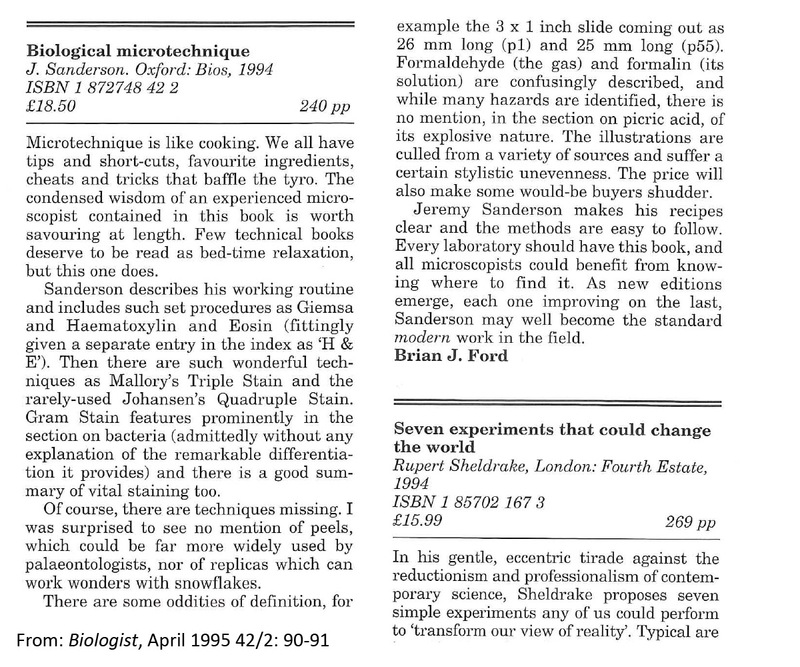 Brunel Microscopes carry the book in their on-line shop: ‘We are delighted to see this fine publication back in print. An easy to read practical guide providing readers with all the knowledge they require to prepare better and more informative slides. Many pictures and diagrams’. 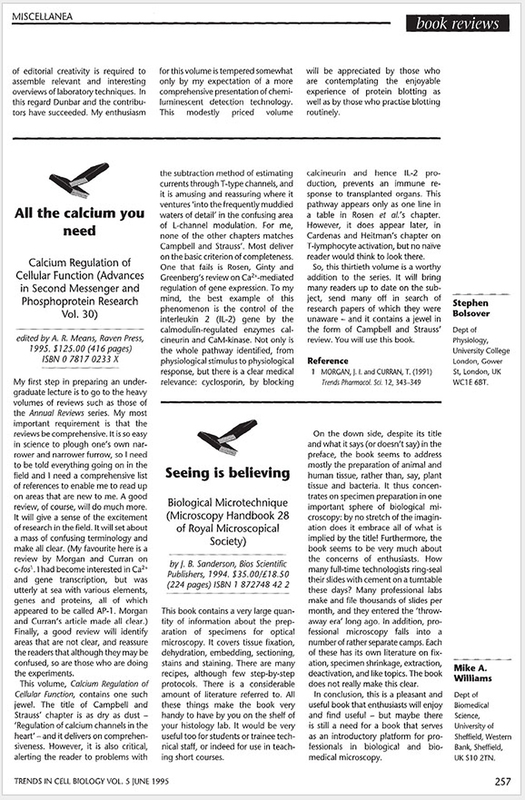 My old university lecturer, Mike Willams, wrote a review for Trends in Cell Biology. A recipe for a mixture of this kind is given as "Leyden fixative"
in J.B. Sanderson's excellent book, "Biological Microtechnique"
(Oxford: Bios Scientific Publishers and Roy. Microsc. Soc., 1994).